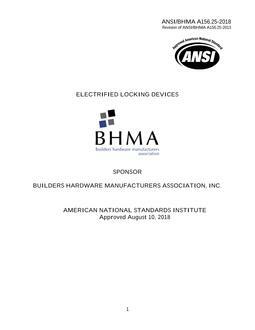 1.1 Electrified locking systems are usually comprised of four functional components: locking devices, input devices, controlling devices, and power supplies. 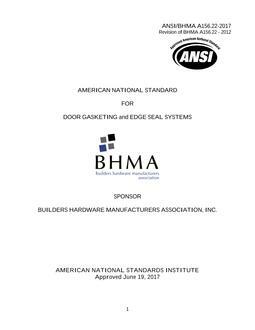 BHMA A156.25-2018 establishes requirements for the locking devices, whose mechanical aspects are described in the applicable BHMA product Standards; in addition, where the input or controlling device or both are an integral part of the locking device, they shall also be tested with the locking device covered by this Standard. This Standard includes requirements for cyclical, security, operational, strength, and environmental tests for these products.